Totally love the Cheesy Burger which caught me by surprise with the texture, taste, and appearance! Who will ever imagine and expect that this is a Vegan dish?! The burger looks superb! Haha, you brought your mini Hulk for dinner together? Yup! If someday u saw it on the table, it might be me! I'll keep a lookout for this little green fella! 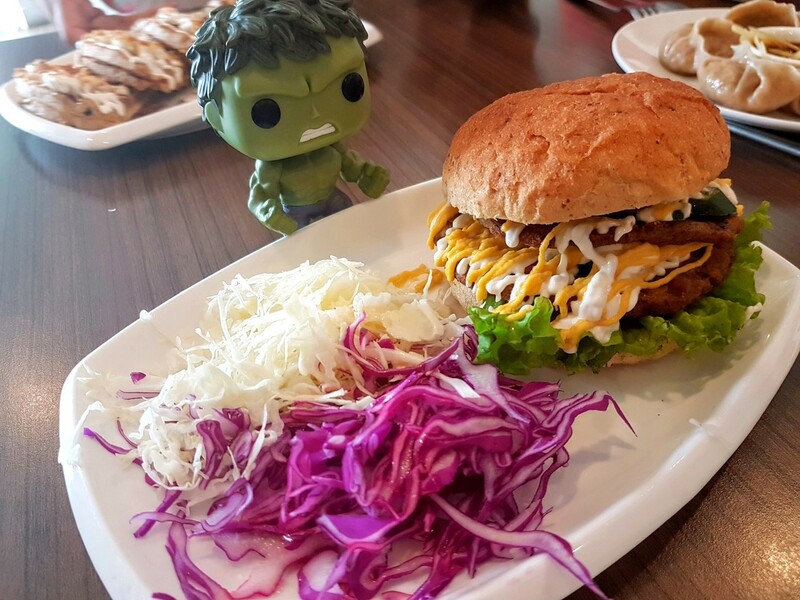 😄 Your hungry hulk looks like he wanna fight with you for the burger. He is staring at my cheesy burger! The patty tastes good right? So far I haven't tasted the same patty elsewhere. The patty itself is quite interesting which amazed me! Yes, I had the same feeling too! Plus one of their strength is No deep fry! Yup. Everything is very healthy there lol! And it taste so nice Too!